The Escapist's own Zero Punctuation is nominated for a 2010 Streamy Award for Best Animated Web Series. 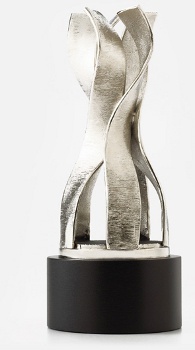 The Streamy Awards were first given out in 2009 to honor the emergence of web video as a respected medium. For 2010, International Academy of Web Television has expanded its categories and garnered more than 150,000 public submissions, covering 2,000 original shows. These submissions were whittled down to a mere 100 nominees in categories that recognize performance as well as craft. The nominees were released this week and most of the winners will be announced at a gala event on April 11 in Los Angeles. The Streamy Awards have expanded its categories for 2010, and Zero Punctuation is nominated for Best Animated Web Series. You can see all of the Streamy Award nominations for 2010 here. "I'm truly impressed with the outstanding quality of this year's Streamy nominees," said IAWTV Chairman, Michael Wayne. "It's a testament to how far the online video industry has come and a great predictor of where we're headed." The Streamy Awards began last year with a bang. The Awards Ceremony held on April 11, 2009 at the Henry Fonda Theater in L.A. was a star-studded affair complete red carpet. Actual Hollywood names attended including Neil Patrick Harris, Lisa Kudrow, Rosario Dawson, and Joss Whedon, but that was because they were nominated for excellence for their respective shows. In 2009, The Guild won for best comedic web series and Joss Whedon's Dr. Horrible's Sing-Along Blog nabbed quite a few Streamys including Best Directing, Writing and Best Male Actor, the incredible NPH. Zero Punctuation was also nominated last year for Best Animation in a Web Series but lost to The Meth Minute 39. In the Best Animated Web Series category Zero Punctuation is up against Eli's Dirty Jokes, Happy Tree Friends, Homestar Runner, How It Should Have Ended. Here's hoping Yahtzee takes home a Streamy this year. Think he'll pull a Sally Field and cry during his acceptance speech? "You like me! You really like me!"